this picture was taken a couple of months ago…but thought it was a great one to share since i do believe we will be hitting temperatures around 105 yet again today. 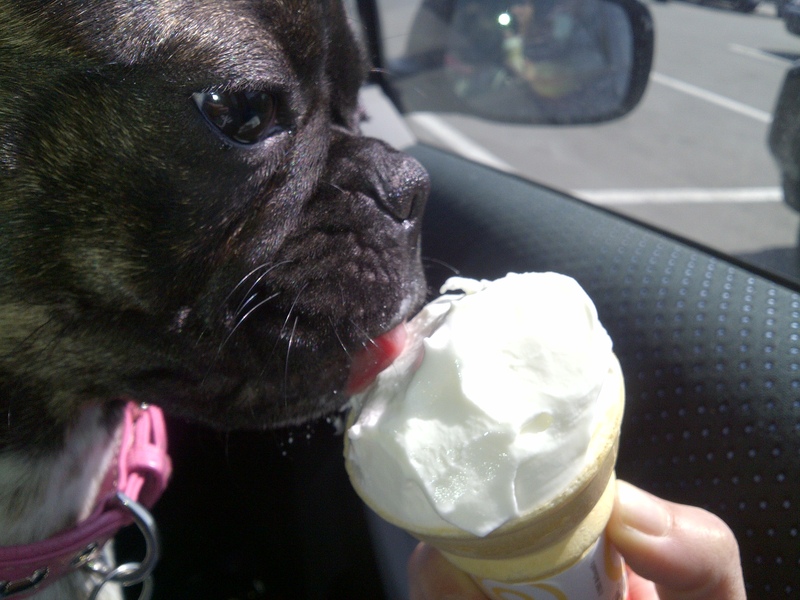 this is puppy’s first cone experience…on a beautiful pre-spring day. this song has been stuck in my head since last night. go ahead..listen to it. i double dog dare ya. This entry was posted in health, journal, weight loss and tagged blog, blogging, carbs, cravings, diet, feelings, fun, happy, hot, humour, ice cream, journal, life, love, low carb, personal, picture, puppy, random, summer, thinking, weight loss, writing on June 8, 2011 by losing bee. it’s cooler today – much cooler. i am sitting at my desk freeeeezing! i assume our weather is pretty similar since we really aren’t that far apart! oh yes, she LOVED her cone…but she has such a sensitive belly i don’t think it will be a regular treat for her.